If you are interested in smaller amounts of wood and have a vehicle to transport it in, you can come and pick up the wood yourself. When you arrive, you will drive onto the scale and your vehicle will be weighed. 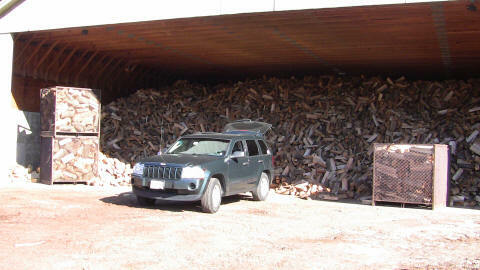 After your vehicle is weighed you will drive it to our shed and load it yourself. Once loaded, you will drive back onto the scale where your vehicle will be weighed again. The difference is calculated and you pay for the wood based on the weight.